As someone who had a home birth, the moment I arrived at the hospital, I had a shiver. I used to like hospitals as a kid. After having my appendix out, broken ankle and a massive cut on my arm, I still liked the feeling of going into a hospital. It must have been the special treatment you get. Getting prescribed medicines. It was all exciting to me. Now, not so much. I spend a lot of time on my health through food and exercise, to me, prevention is the cure for almost all illnesses. 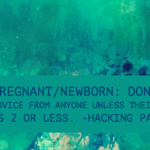 So when I found out I was pregnant, I tried my hardest to make sure I was having a home birth. Once I found out my sister was having a baby, I was ecstatic. Well, after the shock at first. I had many questions for her. So many, that she wasn’t even ready to answer any of them. I soon realised that I had to be patient, and not try to give her all the advice that I thought was right. She had to find her own advice, her own way. It’s been a learning kerb for me. My very own sister didn’t want to do the same things as me. Why was I so surprised, we are the same in some ways, and so different in others. These 9 months have taught me to be open to other peoples ways, just like I am, they are trying the best to deal with life. I was so excited to finally get the message that she was in labour, early stages though. I believed that there was going to be a baby soon. After about 42 hrs of early stages labour, they were on the way to the hospital. That whole day I was anxious to hear the news of my wonderful niece being born. Contractions were every 3-10mins, the baby should be on its way. That night I got a text saying she was still at 2 cm dilated. I realised they needed more support, a whole day and night of contractions are tiring work. I sent a few messages and tried to gauge whether they needed me, they weren’t exactly asking, but I felt that it was needed. So, who would look after my daughter, did her partner want me there and was the baby going to be born that night? Three things need to be sorted before I left. I have not left my daughter at night yet so I wasn’t going to start now, I would have to leave really early and then get home quite late. It was a 3 hr journey by train. So my husband was happy to look after Eris all day, just had to move a few plans around. Her partner was happy for me to come up. I went to bed. I had to wake up early to catch the 6:30 am train, I got some sleep, but was quite anxious, checking the time throughout the night. 5 am arrived and I messaged to see if there was any news on the baby. Still no baby, still 2 cm. So I got ready and left. Once I arrived, I was welcomed by two extremely tired people. I understand what tired actually means, and I could see it, all over their faces. Time to step in. Contractions were happening, fast and constant. She had her last shot of Pethidine that morning and soon would have to deal with full on contractions. Every 3-10min all day. I just remembered how my hubby dealt with me when I was having mine. I just did the same. Back rubs, water, pillows, help where ever needed. I could see her partner wanted nothing more than to sleep, I’m not surprised, he didn’t get a bed to sleep, he had to make do with chair/bean bags. The doctors came for checks, it was time to start walking around. My sister and I figured that this was the best time for her partner to go home and get some rest, refresh for the night’s events. He left for 2 hrs, and we went for a walk around the block, stopping when the contractions were every 5 minutes and were not letting up, getting worse with intensity. You get some really concerned looks when there was a woman contracting on the sidewalk. As it was time to get back, contractions were getting stronger and closer. She had another check with the hope that things are moving along, 2-3 cm. This was not what we wanted to hear. So far she had been contracting for 48 hours. See my next post for Part 2. 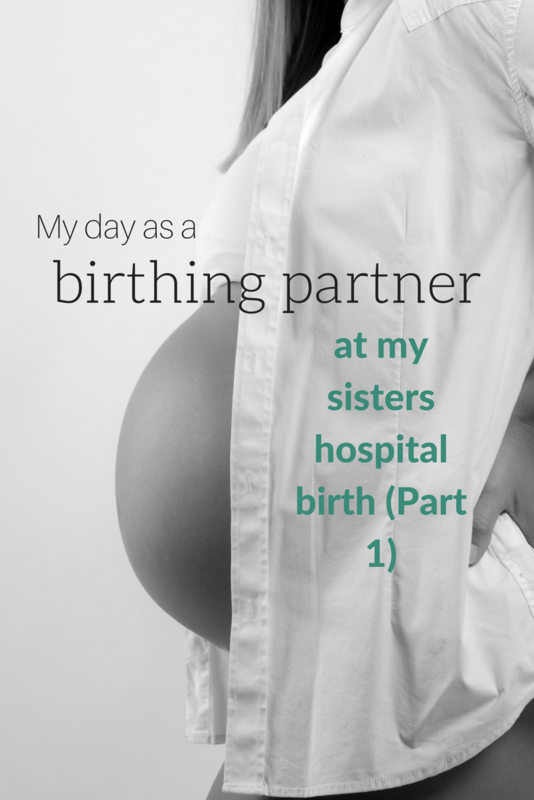 While you wait, would you like to read my home birth story?